A sullen, young chain smoker and a gruff old man set out on a road trip across Europe that will end up irrevocably changing them both. 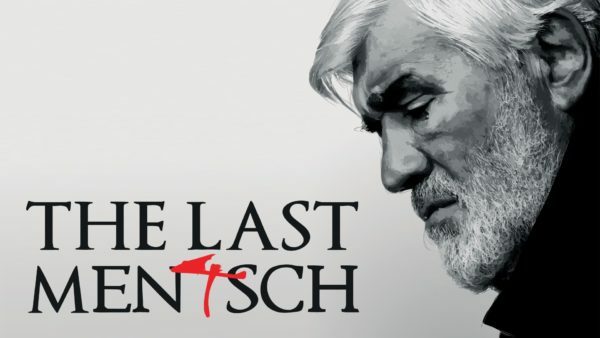 Saratoga Jewish Community Arts, in collaboration with Temple Sinai, and with generous grants from the Jewish Federation of Northeastern New York and the Golub Corporation, presents the multiple-award-winning The Last Mentsch on May 7, at 7 pm, at Temple Sinai, Saratoga Springs. After surviving the horrors of Auschwitz, Marcus Schwarz, alias Menachem Teitelbaum, sought to forget the trauma by exterminating his past and creating a new identity for himself in Germany, one without Jewish friends or ties. However, now an old man, faced with his mortality, he suddenly decides he wants to be buried in a Jewish cemetery in Cologne, Germany. To his vexation, his word is not enough for the rabbis; he must prove that he is in fact, Jewish. After spending a lifetime concealing his heritage, Teitelbaum must come to terms with his past. Determined to return to his birthplace and establish his ancestry, he enlists the help of Gul, a brash Turkish woman with a troubled history of her own. The two set out for a small village on the Hungarian-Romanian border. The challenges Teitelbaum encounters in trying to establish his Jewish identity should also give audiences much to think about – especially when one considers how many people like him hid their religious roots after the Holocaust. Award-winning German documentarian Pierre-Henri Salfati’s foray into feature narrative filmmaking is a thoughtfully told story of friendship and healing. Poignant, funny, deeply moving, spotted with moments of great wisdom, the film is a powerful emotional journey. The convoluted adventure yields its share of odd comedic detours and harsh, difficult truths. The Last Mentsch will be shown Monday, May 7, at 7 pm, at Temple Sinai, 509 Broadway, Saratoga Springs. A panel discussion and dessert reception will follow. A $5 donation is requested. For information and reservations, call 518-584-8730 opt. 2.